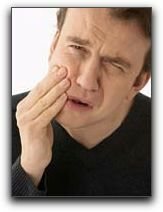 Throbbing toothache pain for anyone can be absolutely intolerable. At the very least, milder toothache pain can cause you to skip certain foods. Severe toothache pain can be completely debilitating, forcing individuals to go to extreme measures to calm the pain. The most prevalent causes of a toothache include infection, decay, injury, or loss of a tooth. Tooth pain can occur after a tooth has been extracted or following oral surgery. I can determine the source of your toothache, and in most cases can provide nearly immediate relief. Of course, the best way to avert tooth pain is to visit your dentist often, and to care properly for your teeth including a consistent regimen of brushing and flossing. If you are experiencing toothache pain, please give me a call. Our staff is standing by, ready to help.